The newly emboldened populist wave sweeping Europe has begun to clash with establishment EU "open border" advocates, as governments opposed to illegal mass migration dig their heels in and resist the influx of mostly North African migrants. Europe has been sharply divided over asylum seekers - however words turned to action in early June when Italy's brand new Interior Minister, Matteo Salvini, closed Italian ports to Non-Government Organizations (NGO) ferrying migrants into the country. The rest of Italy's populist coalition government supported the move, fending off condemnation from "hypocritical" French President Emmanuel Macron and other EU leaders. 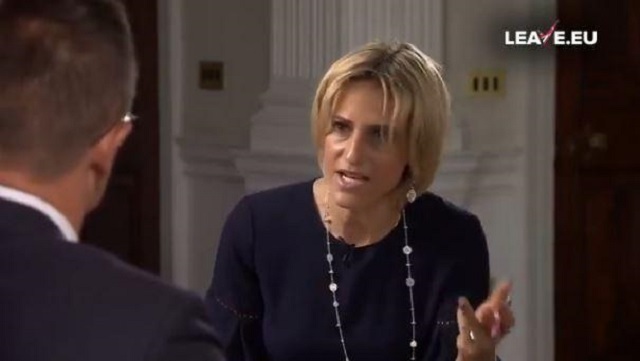 When quizzed by Maitlis on Hungary's "Stop Soros" legislation introduced in January the Foreign Minister said "There are organisations who help people to ask for asylum, even if they no legal basis for that… and they have to contend with the consequences." “What we don’t want is a massive illegal influx coming from the south to us, we want to keep Hungary a Hungarian country and we don’t think by definition that multiculturalism is good... If you think so, if people in this country think so, we respect that, but please don’t put pressure on us."